Well, Activision has delivered on their shameless hinting, officially revealing Crash Team Racing Nitro-Fueled. You can check out the debut for the game below. Developed by Beenox and published by Activision, Crash Team Racing Nitro-Fueled is built from the ground up and remasters the original Crash racing game by bringing the characters, karts, tracks and arenas to modern console HD graphics. 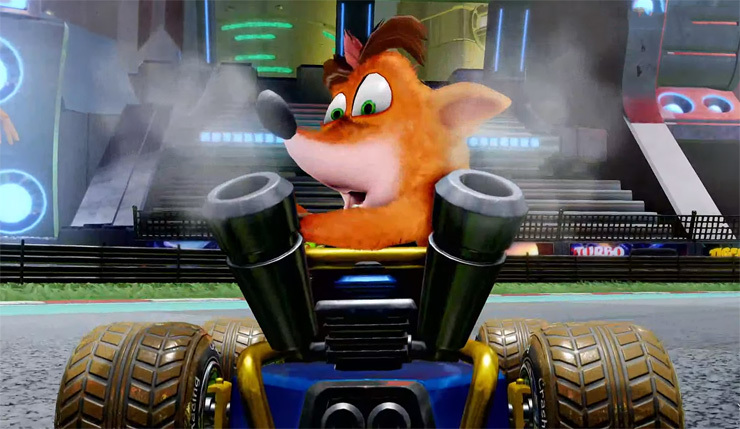 Fans will be able to see Crash and friends’ expressions and antics in beautiful detail as they blast each other with power-ups and whiz around the corners in all the original racetracks. The stakes are high and the competition is fierce as players race with a variety of Crash Bandicoot series characters, including Crash, Coco, Dr. Neo Cortex and others against the egomaniacal Nitros Oxide to save our planet from destruction. In the new game, Adventure, Arcade Single Race and Cup Race, Time Trials and Battle Mode are back. Play Crash Team Racing Nitro-Fueledsingle player or vs. friends both online and offline. Crash Team Racing Nitro-Fueled will set you back $40. Activision is also offering the Nitros Oxide Edition for $60, which includes a variety of skins and other goodies and the ability to play as Nitros Oxide from day 1 (those who buy the standard edition can still earn him in-game).